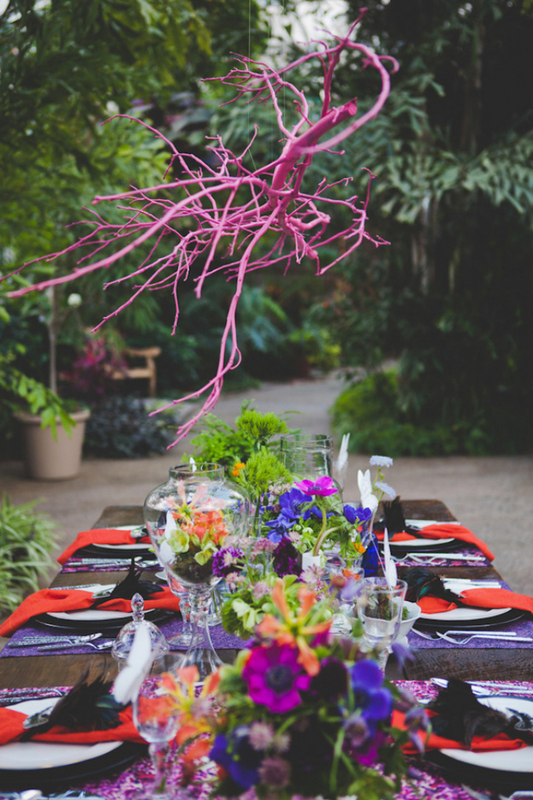 We all try to introduce nature into our homes with house plants and with the use of other symbolic elements. But how about something that’s both simple and of great impact? The key is with the use of branches. 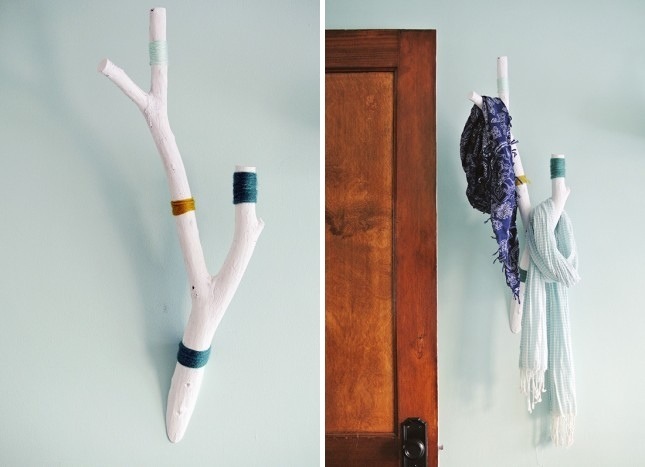 You can use them for a multitude of amazing DIY projects. Paint them in amazing colours or express their natural materials. Using nature as art gives not only creates beautiful organic objects it also can add a very homely feeling to your space. Let us know if you also have some ideas too. 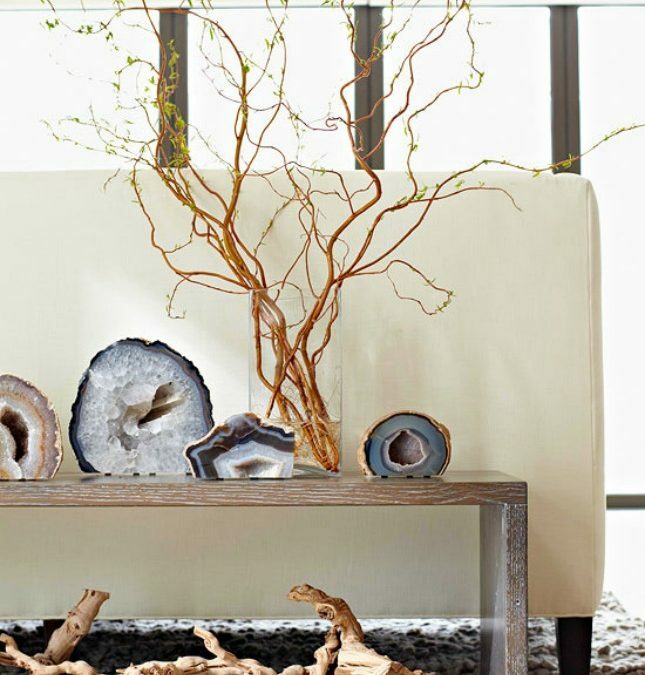 Curly Branches: Sometimes all it takes is an interesting branch or twig in a big, glass vase to act as a statement piece for your coffee table or side table. Poster Bed: You’ll be dreaming of a woodland fairytale in this pretty four-poster bed made from birch trees. 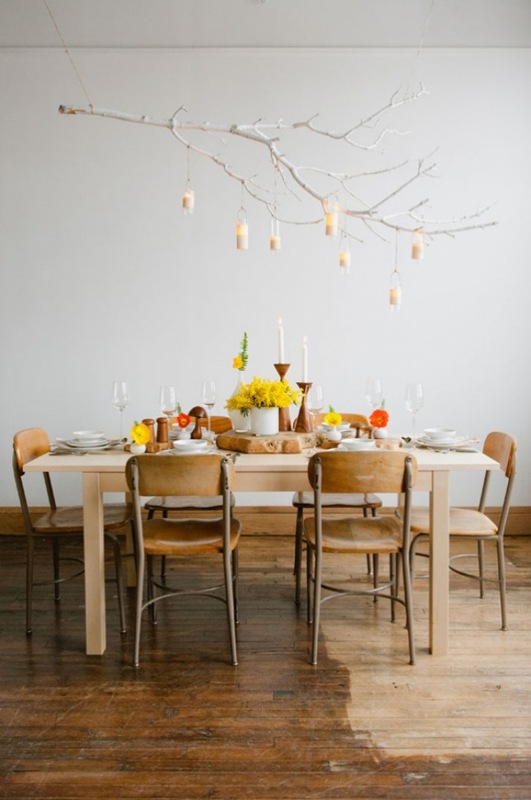 Natural Chandelier: Perfect for a rustic wedding or summer get-together on your patio, this pretty chandelier is as easy as tying little lights or candles to the branches. 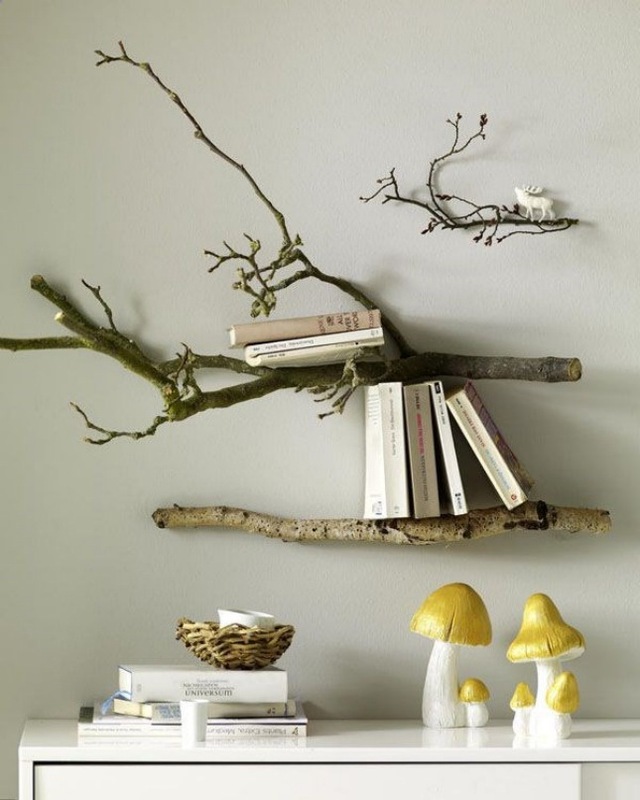 Twig Shelving: Screw whole branches right into the wall to create a precious, fairytale bedroom or rustic vignette. 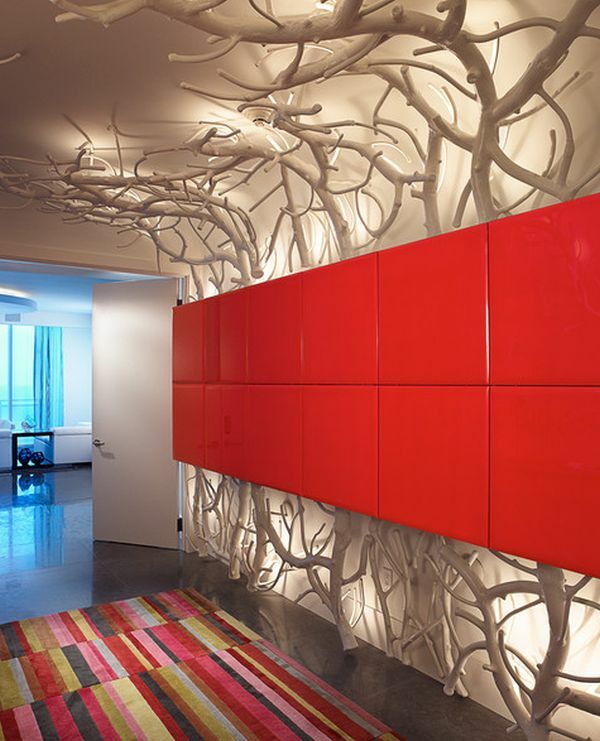 3D Wall Art: Try decorating with manzanita branches for a fun, twisty look that boasts some pretty red accents. 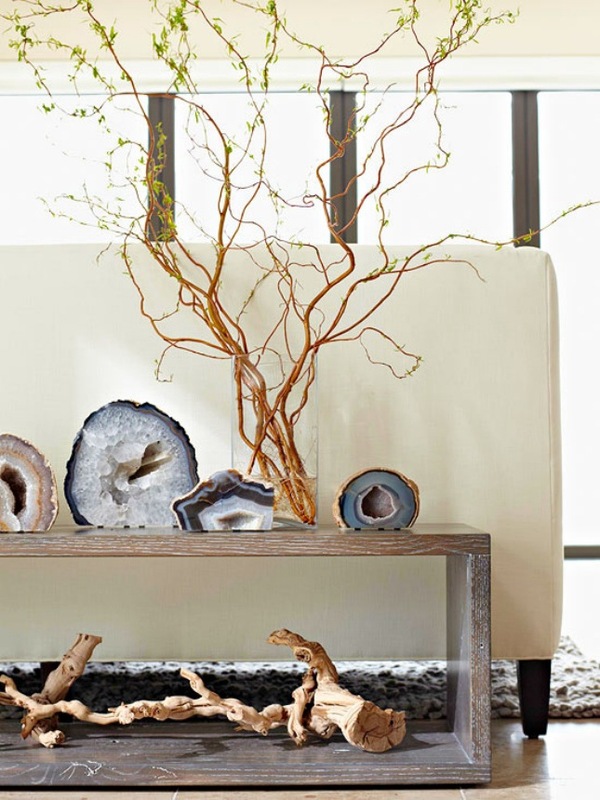 Artistic Elements: We love these oversized agates paired with a thick, twisty tree branch. The vase filled with freshly cut, winding twigs adds a whole other dimension of texture, too. 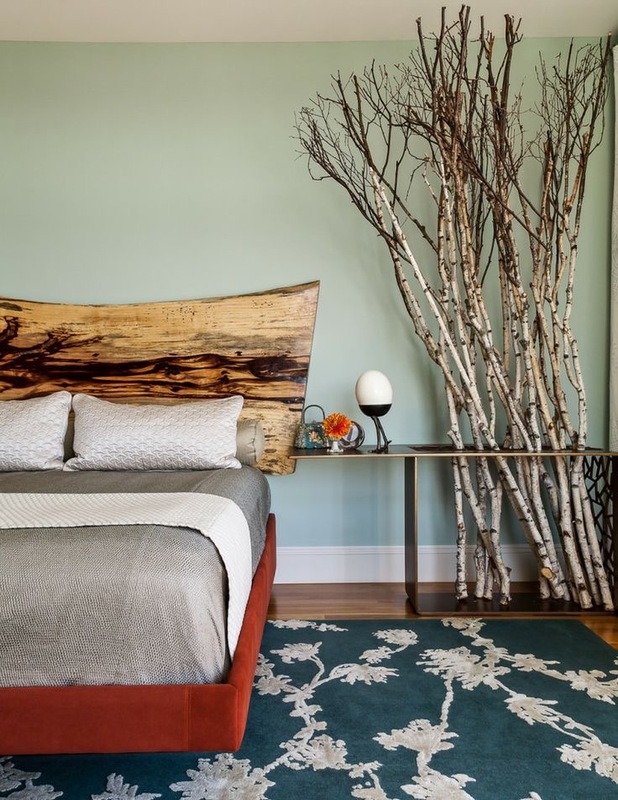 Bedside Forest: Talk about a statement piece! 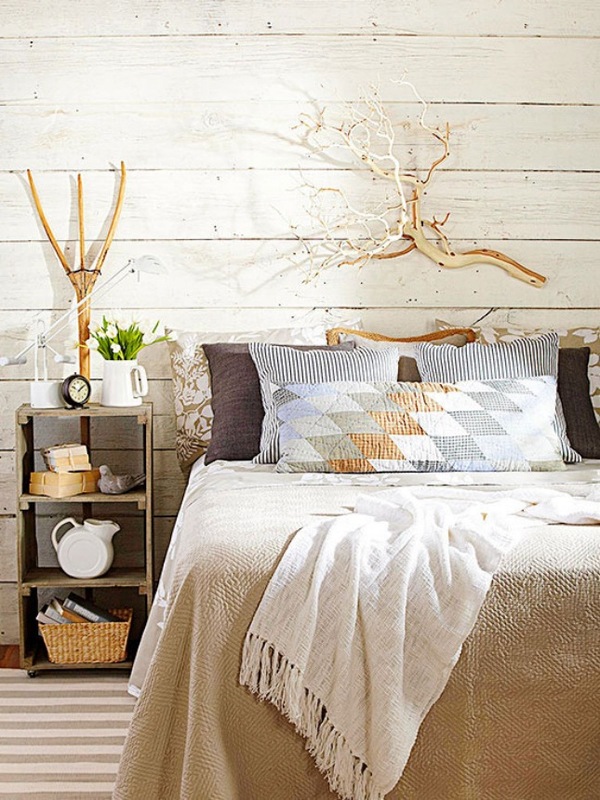 This dramatic wall of branches looks incredible next to the all-natural plank headboard. 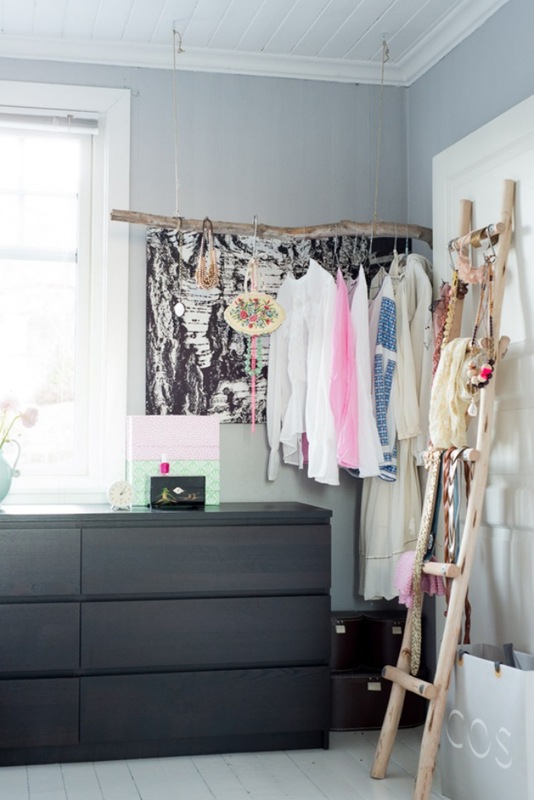 Branch Ladder: Who knew an expanded and exposed closet could be so gorgeous? The most important thing with DIY projects is to have fun in the creation. So, feel free to play with your creativity and make as many different shapes as you want. 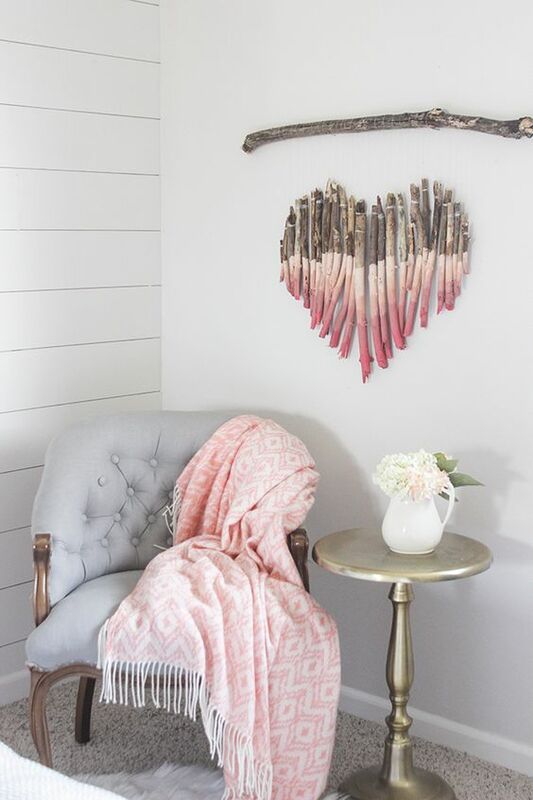 The heart shaped tree branches beauties will bring charm to the interior and change the atmosphere for the better. This hall is indeed spectacular. Just look how mesmerizing the tree branches are. Their shapes are amazing and the lighting makes them stand out even more.